Well, well, well… some good headlines for a change! Waking up this morning, I was greeted by an absolute deluge of positive vaping news. 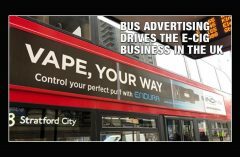 Apparently, a new study published in the New England Journal of Medicine has generated the most positive buzz to date supporting vaping as a smoking cessation tool. In fact, the numbers show that vaping might be twice as effective in quitting smoking as common nicotine gums and patches. As we all know, quitting smoking remains one of the most-difficult addictions to fight in the world. A staggering 55% of smokers attempt to quit each year, according to released government totals, yet only 7% succeed at any meaningful level. In the new study, researchers tracked nearly 900 middle-aged smokers who were randomly assigned to receive either vape devices or nicotine replacement products, including patches, gums and lozenges. The study was different than most, in that it surveyed smokers about vape device use, and required participants to undergo chemical breath testing. Smokers in the vape device group received a basic vape device starter kit, while those in the nicotine-replacement group received a three-month supply of the product of their choice, costing about $159. The results? After one year, 18% of vapers were smoke-free, versus 9.9% of those using the other products. After one year, 80% of the vaping group were still using the devices and not smoking. Just 9% were still using gums or patches. Before we get too far ahead of ourselves, even as a growing $6.6 billion industry, the fact remains that doctors aren’t going to suddenly start “prescribing” JUUL pods for smoking cessation. Even with mounting evidence that e-liquid vapor is likely FAR safer than combustible tobacco, no vapor products have ever been approved for this purpose. Another thing to consider is this: All participants were recruited from a government smoking cessation program, received free products and free counseling post-treatment. So, it’s safe to say they were eager and motivated to quit, which may have altered the findings. The FDA has not scientifically reviewed any of the vape devices on the market, and tabled key regulations until 2022. 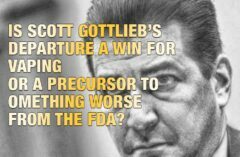 FDA Commissioner Scott Gottlieb said he doesn’t want to over-regulate an emerging industry that could offer “a safer option for adult smokers.” But that means the road to approval is ever-longer. Though the FDA is adopting more of a “wait and see” attitude to the long-terms effects of vaping, it’s worth mentioning that the American Heart Association backed e-cigarettes in 2014 – albeit as a “last resort” tactic to help smokers quit after failing with other means. But the American Cancer Society took a similar position last year, so there’s definitely some thawing of opinions within the healthcare community. But research like this study could shift things in a different direction soon enough. It will likely come down to doctors and researchers starting to cull results of “long-term” effects of vapor on users. 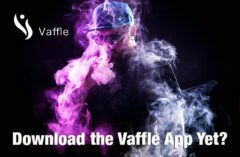 Because vaping is still a relatively new practice in the United States; it reached the mass market roughly around 2007-08. With such little evidence of long-term safety and effectiveness available today, there’s still plenty of hills to climb. But if there was ever a headline to make cynics (like me) become cautiously optimistic, it’s this one.